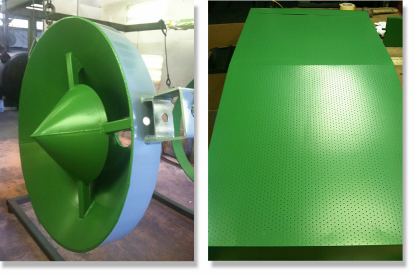 AST/ACME has over 50 years of experience as specialty applicators of virtually any type of protective coating, including Teflon™ industrial coatings, paint and injection molding release coatings, and TGIC powder coatings. Within their 80,000 square foot facilities, AST fights corrosion and abrasion with time-proven materials. AST/ACME is the exclusive MIL-spec painting provider for the refurbishment of the Phalanx Weapons Program. AST's complete range of services is extended to both the manufacturer and the end user. "This is possibly the best oven that I have ever monitored during the course of my career with regards to oven set points versus oven air temperature versus metal temperature." AST received a new application opportunity from an existing customer that required an increased need for production that their current industrial oven was not equipped to handle. The new opportunity required a large capacity oven with highly intuitive controller programming for specific ramp, soak, and cure times. The oven also had to have the ability to record data to ensure accuracy and performance. AST could not take on the new opportunity and were limited from taking on future opportunities without a suitable industrial oven. After careful evaluation, AST decided to have Precision Quincy Ovens design, build, and install a custom oven specific to AST's new processing needs. According to Wayne Cundiff, VP of Sales at AST, "Oven performance can be seriously degraded by poor design and installation. Therefore, it was vital to give great consideration to selecting a company for oven design and installation. [Precision Quincy] does it all with an onsite, turnkey installation done by their own trained and certified experts. They ensured our oven was installed correctly and performs optimally." Once the oven was delivered, the Precision Quincy staff arrived to manage unloading, placement, electric, gas, ducting, installation, operation, adjustments, and training. Precision Quincy's oven enabled AST to change profiles quickly and easily with very low user error. The oven's extremely consistent airflow and uniformity had an enormous impact on AST's need for producing consistent, quality parts. Precision Quincy's turnkey installation included oven programming, tying the oven into AST's network for easy monitoring, and having experts available for extensive technical training and support. "Precision Quincy does it all with an onsite turnkey installation done by their own trained and certified experts. They ensured our oven was installed correctly and performs optimally." AST invested money in a custom Precision Quincy oven to grow and develop their business aggressively. 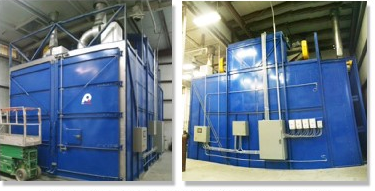 AST can now meet their new application needs and double their curing capacity. In terms of future growth, AST is now able to coat extremely large substrates, opening up new application opportunities with thier 24 foot long oven measuring 12x12 feet. A ripple effect of AST's investment is that their employee labor is better utilized. Oven profiles are easily set, changed, and monitored, allowing employees to multitask smoothly and without concern over improper cure. In terms of future growth, AST now has the ability to coat extremely large substrates, opening up new application opportunities. The oven's new monitoring technology allows AST to catch and fix any problems as they arise, saving time and money by decreasing improper cure and wasted products. The oven's thermocouples allow AST to record detailed data, enabling AST to guarantee customers the cure process was done correctly. Ken Greis, Teflon™ coatings Technical Expert at The Chemours Company says, "This is possibly the best oven that I have ever monitored during the course of my career with regards to oven set points versus oven air temperature versus metal temperature." 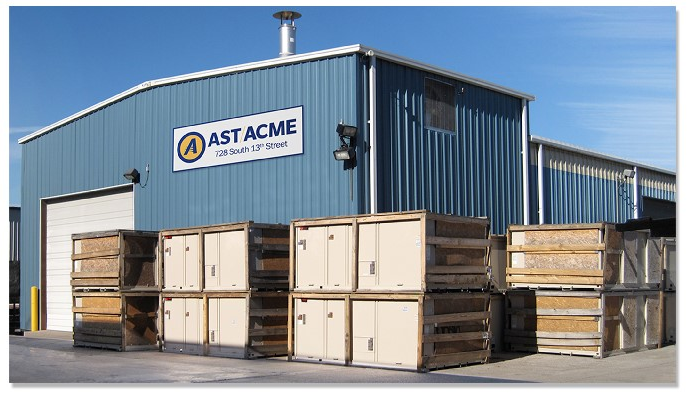 AST has been able to score a big win by reducing bake time, saving expense, and energy thanks to their investment in Precision Quincy Ovens. AST strives for superior equipment quality and performance along with a commitment to customer service. The world is changing all around. To continue to thrive as a business over the next decade and beyond, AST must look ahead, understand the trends that will shape their business in the future, and move swiftly to prepare for what's to come. Partnering with Precision Quincy for a new custom, state-of-the-art, industrial oven creates a long-term destination for AST's business and provides them with a roadmap for moving forward, achieving quality and growth in the industrial coating industry.